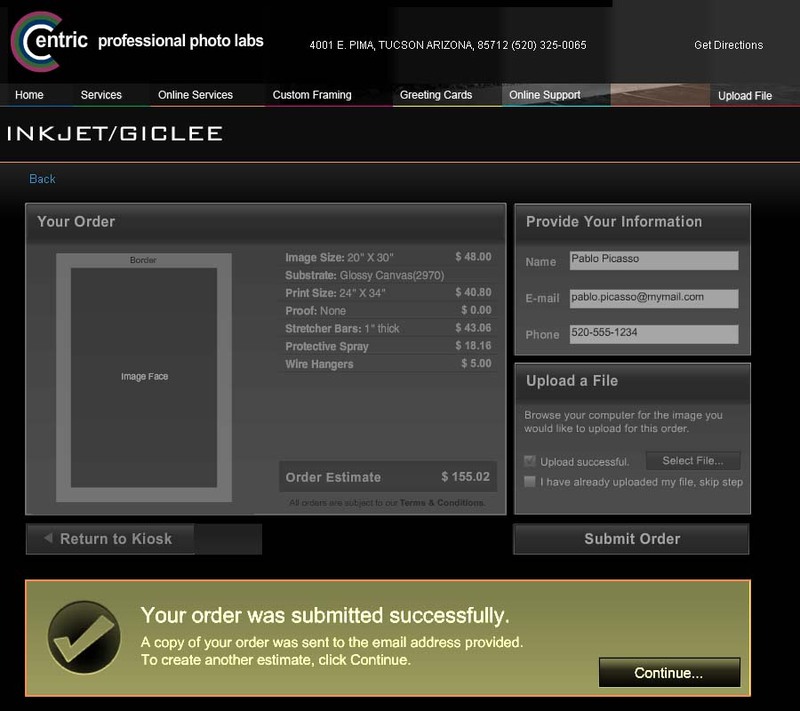 After clicking the Continue button you will be returned to the kiosk where you may order additional prints. Until you leave the kiosk or make changes to the kiosk items, the selections from your last order will be retained. You may then order a different image to be printed with the same specifications, or repeat the kiosk process with a different image and choices. Remember, if you have any questions about a particular step in the process, look for the blue question mark and click on it for more information.